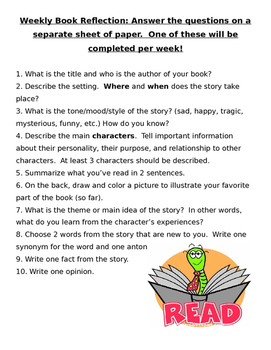 A weekly book reflection for students to fill out. Ten easy questions that can go with any book. Easy to keep track of!